Interferons (IFNs) are cytokines released by host cells in response to the presence of pathogens or tumor cells. The aim of this review was to present the previously known and new findings about the role of interferons type I and II, and recently discovered type III in Mycobacterium tuberculosis (M. tuberculosis) infection control. Infection of various cell types with M. tuberculosis induce both IFN-α and IFN-β synthesis. The majority of the studies support the findings that IFN type I actually promotes infection with M. tuberculosis. 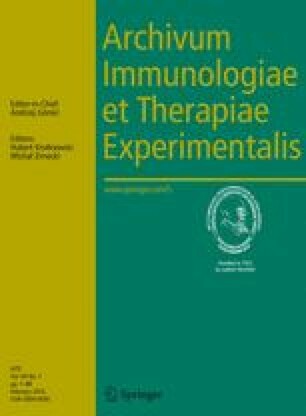 It has been well establish that IFN-γ has protective function against M. tuberculosis and the other mycobacteria and that the primary source of this cytokine are CD4+ and CD8+ T cells. Recently, it has been shown that also the innate lymphocytes, γδ T cells, natural killer (NK) T cells, and NK cells can also be the source of IFN-γ in response to mycobacterial infection. Several studies have shown that CD4+ T cells protect mice against M. tuberculosis independently of IFN-γ. The balance between IFN-γ and different cytokines such as IL-10 and other Th2 cell cytokines is likely to influence disease outcome. Type I IFN appears to be detrimental through at least three separate, but overlapping, type I IFN-mediated mechanisms: induction of excessive apoptosis, specific suppression of Th1 and IFN-γ responses, and dampening of the immune response by strong IL-10 induction. Recently it has been found that M. tuberculosis infection in A549 lung epithelial cells stimulate up-regulation of IFN-λ genes in vitro. IFN-λs also have a role in modulation of Th1/Th2 response. IFN-λs are not essential for M. tuberculosis infection control, but can give some contribution in immune response to this pathogen.